Here’s a cool cart that we had a lot of fun building! 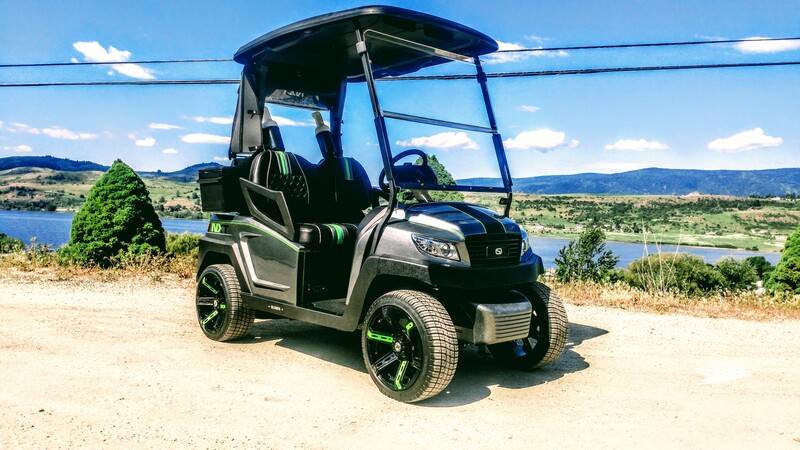 This cart is going to be used to cruise around Predator Ridge Resort and also take one very luck 6 yr old girl from the customers house to the driving range to practice her golf game! We love it when our carts get used for family fun! Have a look at this super cool build! The front end got a complete new bushing kit! Next the custom body was painted…. This cart is really starting to come together! The custom wheel covers, front cowl, black roof and black upholstery really give this cart a great look! Come back next week when we add some final touches to finish this cool cart up so it can head home for the great season ahead at Predator!